Unlike living walls, Fat Plant Society moss walls and frames do not require any watering or misting and do not live in dirt. Our real moss will retain its color for at least ten years while reducing noise and absorbing volatile organic compounds (VOCs) in the air and improving air quality. As a biophilic design element, moss is ideal for windowless conference rooms, basements, bathrooms, and other "light challenged" spaces because it does not require a natural light source. Moss installations are works of art that work for you. 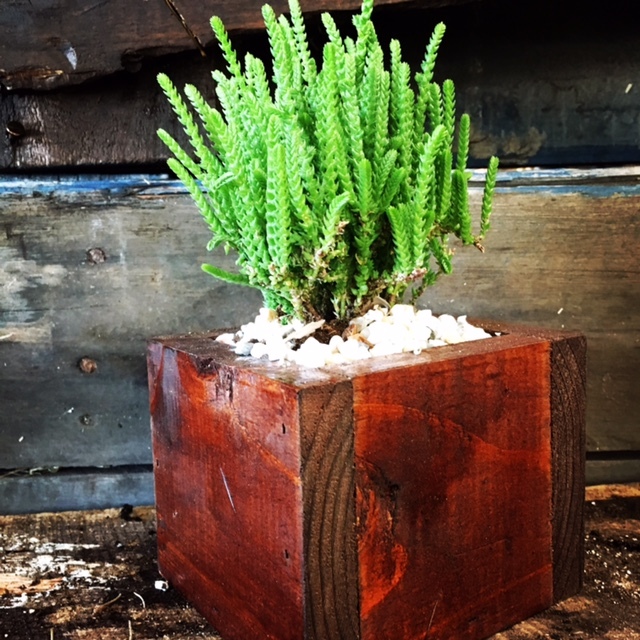 "We couldn’t be happier with the moss frames the Fat Plant Society created for our office. Morten and Kasey were wonderful to work with and developed a design that fit our space and our budget. 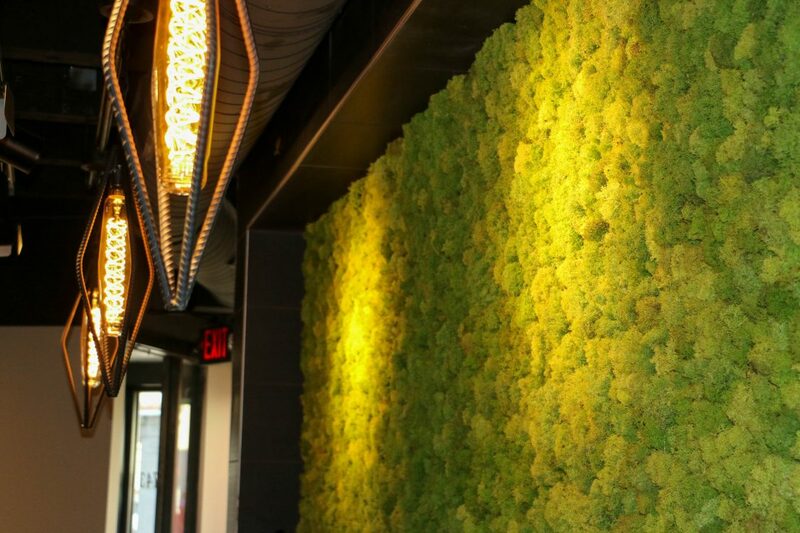 The incredible texture of the moss and its multi-hued greens enliven, soften, and add depth to our space." 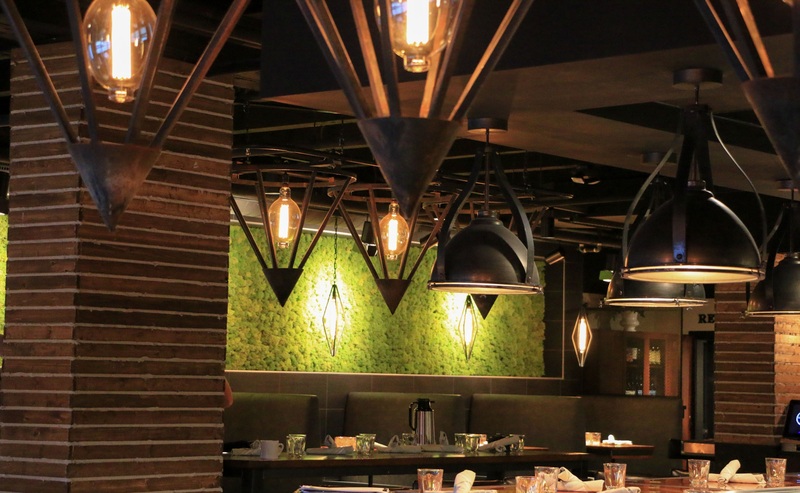 We love all things green and work closely with our clients to create low-maintenance, sustainable plant-scapes for commercial, retail, and residential spaces. 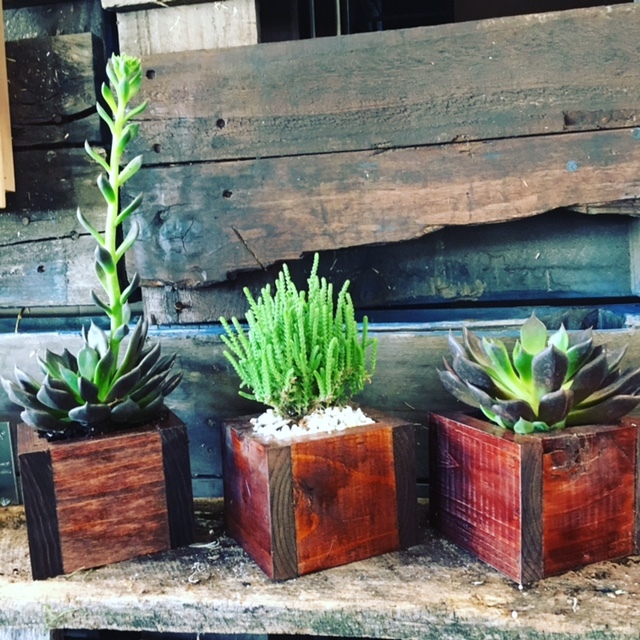 We handcraft and stain our succulent planters for those looking for just the right size and color and we select only premium plants, locally sourced whenever possible. We provide green solutions that will enable you to meet your objective of creating healthy working and living environments for your employees, colleagues, clients and families through moss designs that enhance wellness in the places you live and work.